Hosting key consumer, tech and national media, the Popcorn team headed to THORPE PARK Resort last week for the exclusive VIP preview launch event for GameFX. 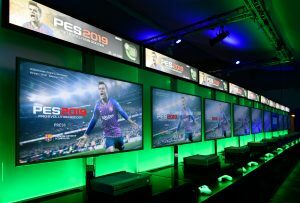 The first gaming event to be hosted at a theme park, the fully-immersive experience enabled guests to enjoy brand new gaming launches, VR, FIFA tournaments and retro games, with key contacts from the likes of Daily Express, The Sun, Sunday Mirror Notebook and London Evening Standard in attendance. 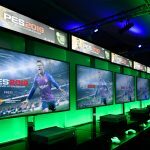 In addition, Sam and Mitchell Craske from famed dance troupe Diversity surprised guests with their impressive moves on Xbox and Fortnite ensuring real kick-off buzz and adding to the social shareability across the evening.